Produced by Chief Entertainment working with DTTV, the new Super League Triathlon Series is hitting the airwaves across the UK via mainstream TV station Channel 4 on Saturday 15 April. The highlights show will screen on Channel 4 at 06:10 GMT and Ch4+1 at 07:10, with online catch-up viewing available on All 4. 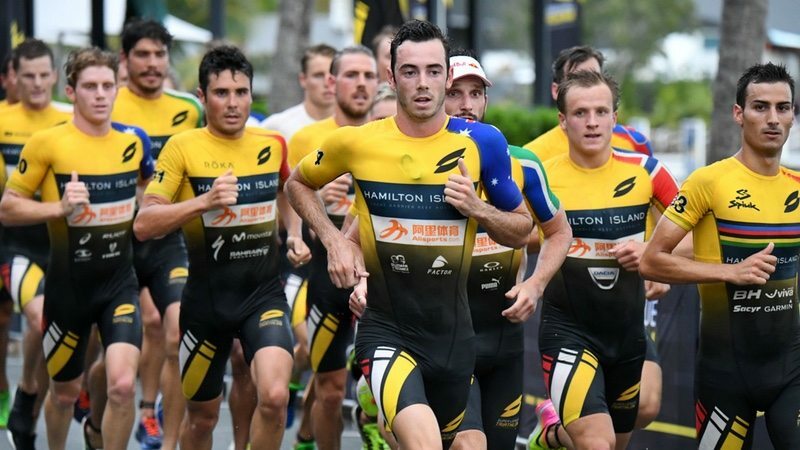 The inaugural Super League event made its debut in March on Hamilton Island, Australia. Simultaneous live broadcasts, as well as live streaming, brought ‘unprecedented exposure’. Super League Triathlon’s official live broadcast partners included Eurosport (UK and Europe), Siminn (Iceland), Fox Sports in Asia and Australia, SuperSport (South Africa), beIN Sports (USA and Canada), the Bike Channel (Italy), Tencent (China) and Sky Sports (New Zealand), which resulted in 110 airings of live programs and replays across the event weekend ‘reaching millions across the globe’. A 49-minute event highlights program is being distributed to 43 networks, reaching 388 million households, for airing from 25 March 2017.